HanziSmatter site is amazing, great idea :) I love reading it. 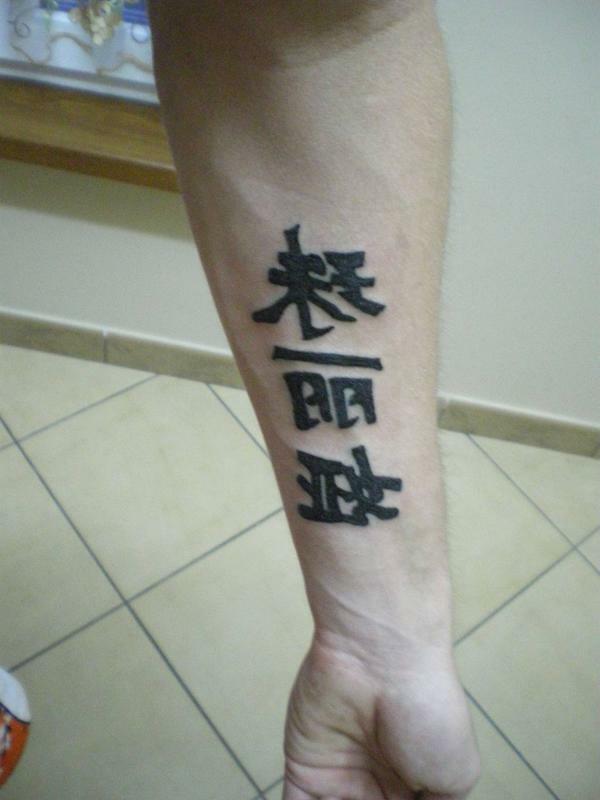 Chinese and Japanese characters looks great, but I still don't understand why people are tattooing their names in those languages, when they come from German, England or Poland, like me. I guess they want to look cool, like my friend, who is 100% sure that he has "Julia" tattoo on his left hand. 珠丽娅 is an acceptable phonetic Chinese translation for Julia, however all characters were done mirrored. Help with translation - Faith, Hope and Love!